-Build a wall to separate our loft from the one next door. -Build an "L" wall to form the bedroom. -Create a bedroom closet and shift the hall closets to accommodate our washer/dryer. 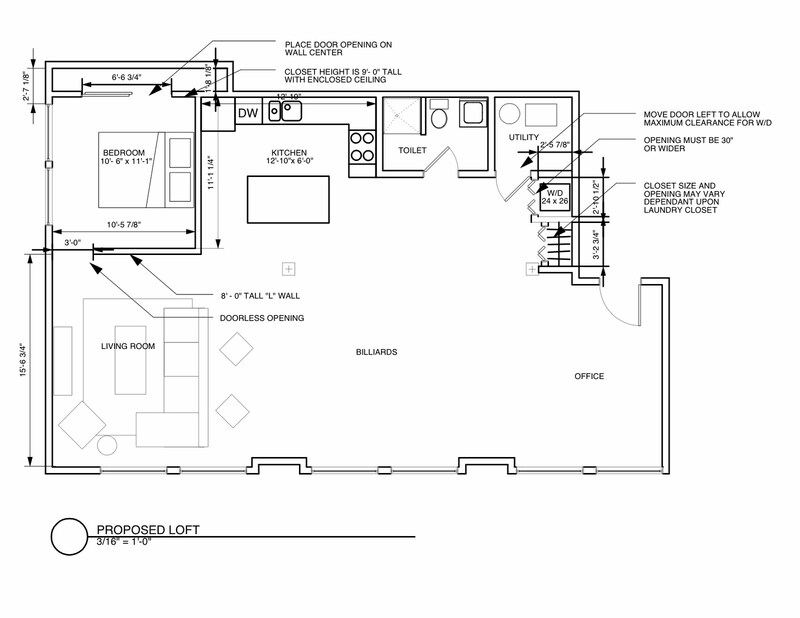 -Enlarge the kitchen to include a dishwasher and more cabinets. -Gut the bathroom and start over. 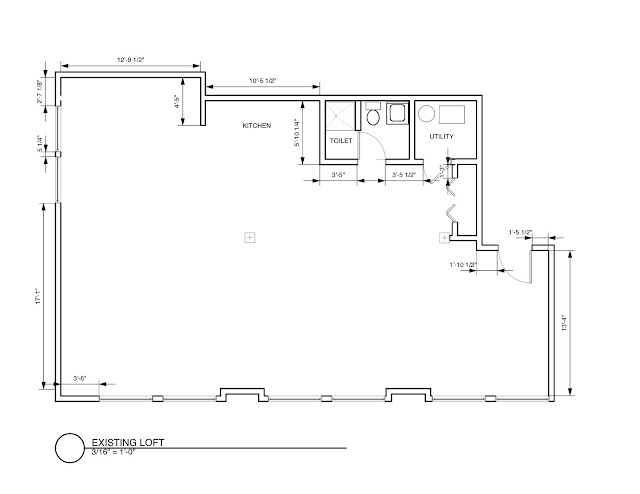 This is a quickie plan I created of the loft in its existing state. The horizontal piece of wall at the top left is technically new. It divides our apartment from the adjacent one. 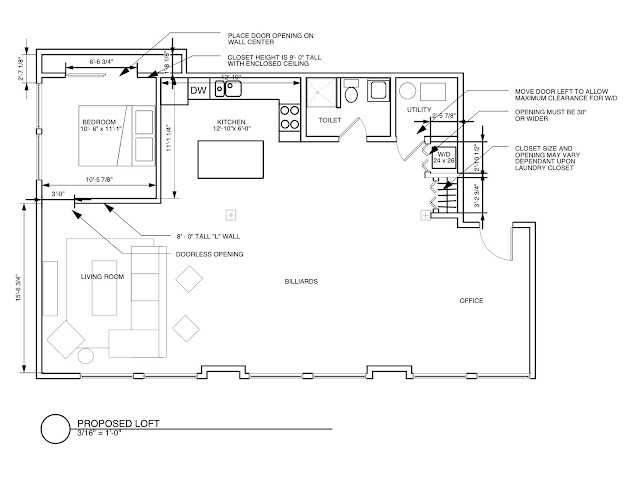 This is the proposed loft plan which includes the new construction and some furniture placement. Contractors arrive tomorrow to start working. We have two days to find a kitchen. Is that even possible?